As per reports, the officials entered the hostel at around 10 pm and investigated the hostel till 12.30 am. As many as 30 officials were involved in the joint exercise by EC and the IT department. Election Commission (EC) along with Income Tax officials carried out raids at the hostel of an MLA in Tamil Nadu in Omandurar Government Estate on Sunday night. The raids were carried out on the 10th floor at the C block of the hostel, just a few days before the Lok Sabha elections in Tamil Nadu commence. As per reports, the officials entered the hostel at around 10 pm and investigated the hostel till 12.30 am. As many as 30 officials were involved in the joint exercise by EC and the IT department. The raid was carried out on the basis of an alleged tip off that revealed that the cash meant for distribution to voters was stored in the rooms. According to the sources in the IT department, rooms of Tamil Nadu revenue minister RB Udhayakumar and two others were searched. However it is still unclear as to whether the team seized any cash or incriminating documents from the minister's room. Recently, the IT department conducted raids at multiple locations in the state over suspicions that cash was distributed among voters. 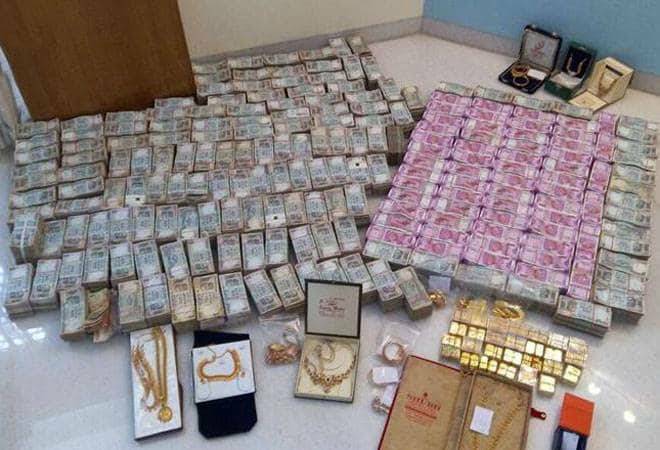 Reportedly, the raids were conducted in PSK Engineering Construction company (a contractor firm in Chennai), Namakkal and Tirunelveli. There are 39 seats in Tamil Nadu, polls for which will be conducted on April 18, 2019 in a single phased manner along with the lone seat in Puducherry. This will be the second phase of the Lok Sabha polls.